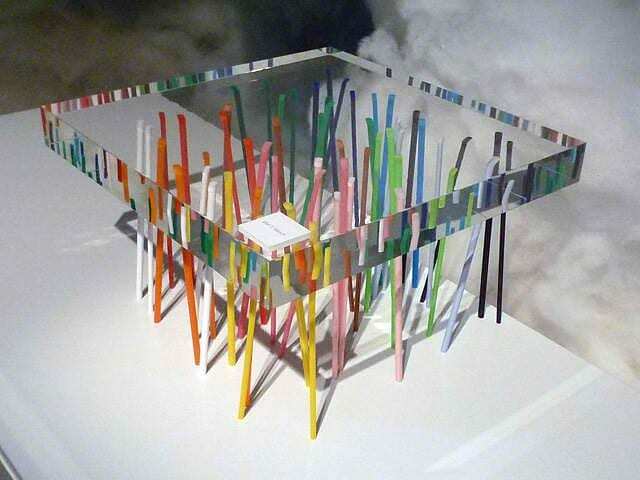 HomeBlogHome DecorShibafu Table by Emmanuelle Moureaux. The Shibafu coffee table by French born and Tokyo based Designer Emmanuelle Moureaux combines bright colored legs with a transparent top for a stunning visual effect. Moureaux’s designs are characterized by provocative use of color and the Shibafu Table is a representative sample of her signature aesthetics. 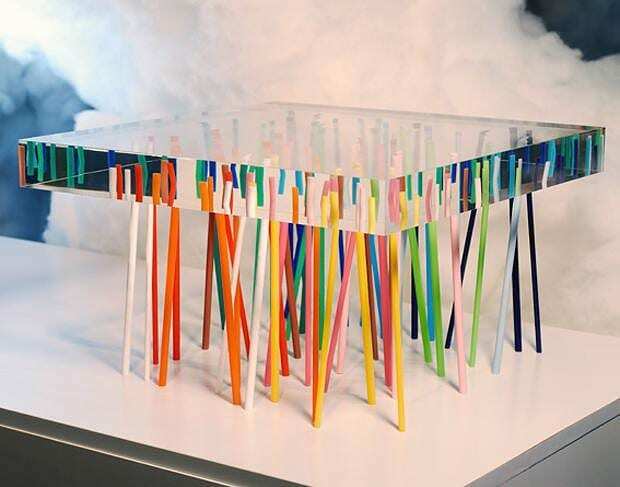 The Shibafu table consists of 56 brightly colored acrylic sticks inserted into a thick piece of transparent acrylic panel. The light refraction through the thick acrylic in conjunction with the seemingly random angular placement of the supporting rods makes them look as if they are soaking under water. Depending on the angle you look at the table the colorful sticks seem to appear, disappear or bend. Shibafu initially impresses with its amazing color composition, but with second look the viewer will appreciate it even more due to the beautiful fluid illusions it creates. Emmanuelle Moureaux is French but at the age of 25 years chose to move permanently to Japan. Based in Tokyo, she succeeded in establishing herself as an architect in Japan and later worldwide. She has presented a number exceptional works which are distinguished by a combination of European bold styling and Japanese minimalism. Liquid Glacial Table by Zaha Hadid. Progetto Oggetto Vases by Tomoko Mizu for Cappellini.